Another item in the Global-Warming-Causes-Everything-Bad list is kidney stones according to Mother Jones. The 1995 Chicago heat wave was one of the most brutal weather events the United States has ever experienced. On July 13, the thermostat hit 106 degrees. Many of the city's poor and elderly residents had no air conditioning; many of those who did lost power as blackouts swept the city. Soon, thousands were suffering from dehydration, kidney failure, and respiratory distress. The hospitals were overloaded; the city couldn't cope with the flood of 911 calls. Over the following days, more than 600 people died from heat-related illnesses, with hundreds of bodies temporarily stored in refrigerated meat trucks because the city morgues were full. Of course there is no mention of the deaths during the recent record winter or any reference to the fact that cold weather causes many more deaths than hot weather! Also unreported is the inconvenient fact that the hottest weather in the US was in the 1930's prior to the invention of the SUV. The Chicago disaster was the worst heat wave in recent US memory. But if greenhouse gas emissions continue on their current path, health experts say catastrophic heat waves are likely to become far more common. Heat-related deaths in Chicago are expected to quadruple by 2050, up from the current annual average of 182, according to the US Global Change Research Program, a government study. Rising temperatures and accompanying atmospheric changes will alter disease patterns and aggravate all manners of medical conditions, from asthma to respiratory diseases to—believe it or not—kidney stones. In May 2009, the medical journal The Lancet and University College London's Institute for Global Health issued a major report concluding that climate change is the "biggest global health threat of the 21st century." 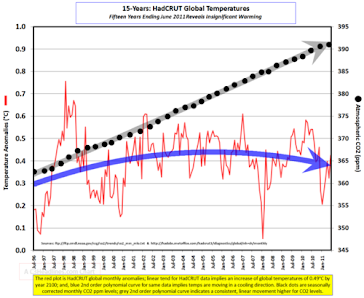 Of course , if the IPCC and the EPA says it, it must be right - right? Update: The US Government has weighed in with another propaganda document on health issues caused by Climate Change - all of them baaaaad! 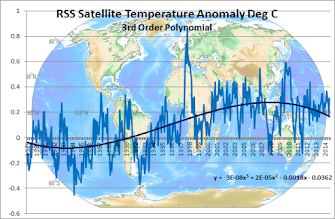 Of course , if you get in your car and drive several hundred Km towards the equator your average temperature will have changed to what the IPCC predicts and all of the above will befall you! Brisbane is six degrees Centigrade warmer than Melbourne which is three times the dreaded IPCC predicted temperature rise which will cause all of the above dire ailments and medical conditions. Oddly enough people are moving to Queensland from Melbourne in droves for the sunny warm climate, not realising the mortal danger of temperature related health conditions. What a load of horse-hockey!